Want to share the Young Living business opportunity? Wish you had more leaders on your team? Not sure how to start a conversation about your business? You need a stack of these! 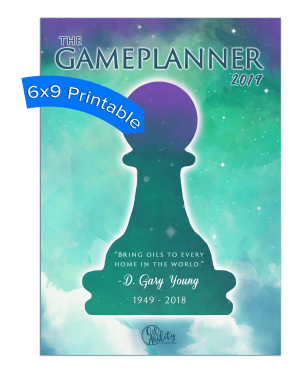 Based on the best selling business book, Gameplan, this little book is the ultimate recruiting tool to introduce people to the Young Living opportunity. 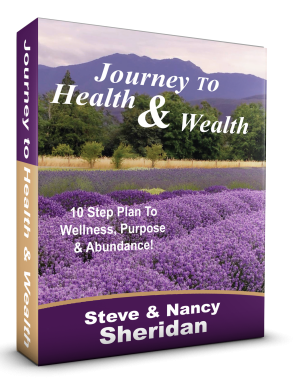 Full of convincing facts and inspiring success stories, this book will help you maximize every opportunity you have to share Young Living. 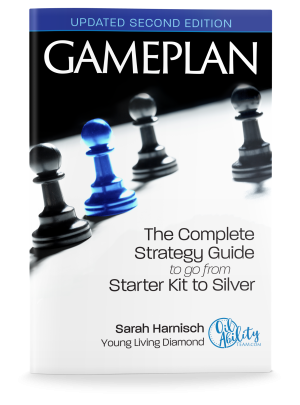 Contains two sections: the first tells Sarah Harnisch’s story from poverty to abundance in Young Living in two short years. The second section details eight compelling reasons to start a Young Living business. The Young Living income disclosure guide is reproduced in the center fold, and there are success stories scattered throughout. Best of all, there is a clear call to action on the last page, pointing the reader back to YOU to get them started! 52 pages, black and white photos. Great synopsis of the book. Wish bulk came in groups of 25 though! 100 is steep for me as a beginner business. Thank you Sarah for your sacrifices and time spent teaching and sharing all you have learned! You are a GIANT SLAYER! People are responding openly to it! Thanks to the Harnish Herd, oilabilityteam and The Sheridan family! See you all at convention! This mini is so easy to carry around and…PEople are responding so positively to it! What an amazing tool to have on hand. I love passing these out as a gift in a mailer for my team and people I give samples to. Thank you Sarah for obeying the voice of God. The Mosses Blessing really has come to fruition. This little book opened my eyes – there was something in there that woke me up and made me realize I want to build freedom for me and my family. I am now going through the bootcamp – thank you Sarah! Yes as a beginner 25 is easier to reach.. Yes, I too wish there was a smaller bulk option for someone who is just starting out. I suppose I could just buy them individually from Amazon or have someone borrow my own Game Plan books. I wish I could just buy 10 or 25 of them since I only have about $99 to my name right now. (Even if it did cost more than $1 a copy). I love her books and the entire game plan program so much though!! Extremely helpful to someone who’s just starting out. 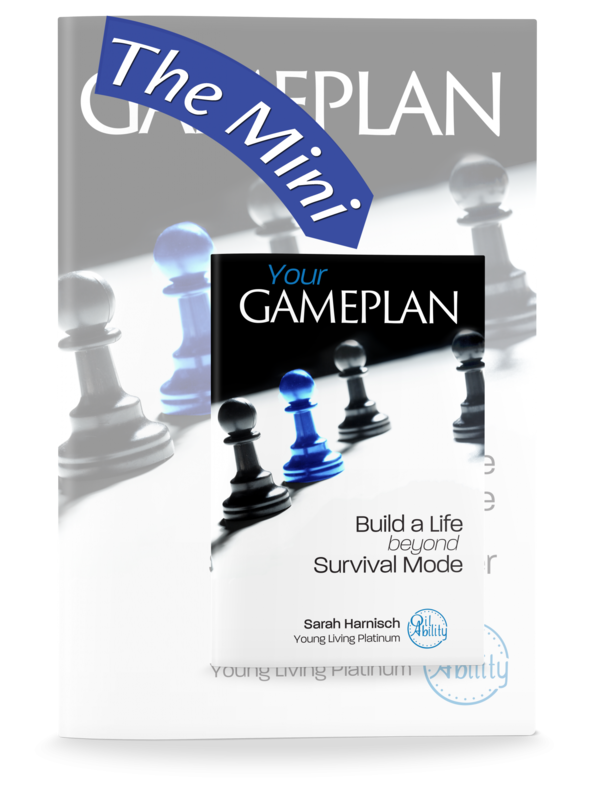 I love the book, the mini is easier for people to digest if you’re just introducing them to YL, but I wish it came in a pack of 25 or 50 because 100 is tough when your YL check isn’t $100/month yet. I’ve been buying a few at a time on Amazon. I haven’t even finished my Gameplan boot camp, or the book/workbook but I bought one of the minis with them, and knew immediately I needed to pay it forward NOW. God put someone specific on my heart and the first page of the mini described her to a T! She is overwhelmed learning about the oils, and had a hard time with the VO, but THE thing she needed to hear most was about building relationships when you need poured into. Thank you for pouring into us so freely. I can’t wait to see where this goes! I will be praying over each book for the right person to get them and for them to be blessed. This little book, handed to me by my sponsor, certainly grabbed my attention. 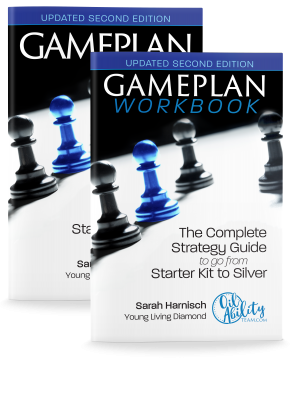 I’m currently using the full version, along with the workbook and the Boot Camp! Really just getting started and wishing I could purchase just 25, for starters; but very excited about the possibilities! Thank you! Great tool to use. I would like to see this in a pack sold in quantities of 25 & 50 too. Thanks Sarah for all that you do! Stepped out on faith! Takes the pressure off me by handing out minis daily. Diamond Rising! Poverty over!! 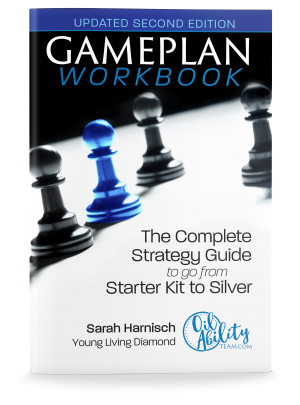 I have been doing the biz for over 3-1/2 years and now I’m putting all my hope in the Gameplan Book and Boot camp to succeed going up rank. Nothing else has worked. I wish I had the money to buy more books but I keep going into debt to do the Young Living Business. I would love the Mini also to come in a smaller bundle. Thank you Sarah for all your hard work you have put into this project. This book is what got me into wanting a Young Living business. 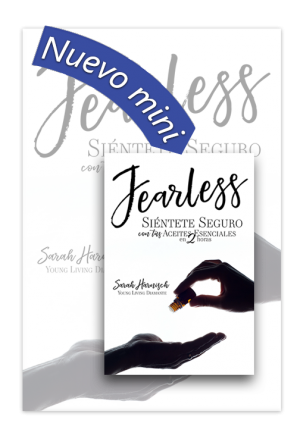 I had used the oils for a short time, and loved them, but Sarah’s story and passion in this book made me desire the business side of Young Living as well. She lays things out so simply that anyone that has discipline can follow the dream. I include it in all my purple bags. 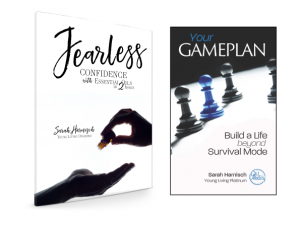 Sarah has such a giving heart with all her resources and all the free stuff on her website. Thank you Sarah for all you do! I loved reading this book. Learned a lot of tips and give it out to get others interested in letting me show them the oils. Always get their information before giving them the book. 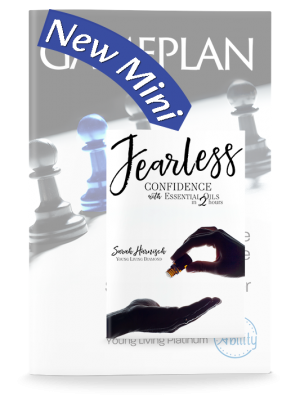 The Gameplan minis are the perfect tool to introduce the business side of Young Living to new members! I send these in my new member welcome packets and anytime someone expresses interest in the business! 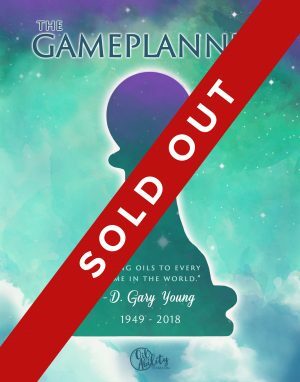 Gamepaln mini is a tool that has helped me learn and I am now sharing with people I have signed. I know it will spark the hearts of those who want to learn. Thank you for these amazing tools. I look forward to becoming a Royal Crown Diamond and helping my family get over our Toxic Mold Exposure that had almost killed us. With these tools I look forward to helping my family afford the treatments we need that are not covered by insurance. Bless Sarah and her family. 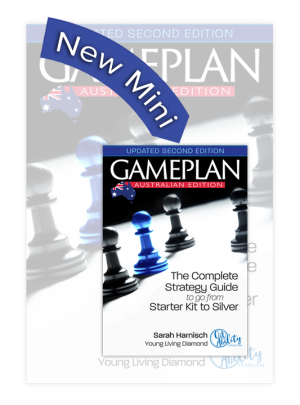 Gameplan mini is a tool that has helped me learn and I am now sharing with people I have signed. I know it will spark the hearts of those who want to learn. Thank you for these amazing tools. I look forward to becoming a Royal Crown Diamond and helping my family get over our Toxic Mold Exposure that had almost killed us. With these tools I look forward to helping my family afford the treatments we need that are not covered by insurance. Bless Sarah and her family. I love this book! It was first given to me before I started handing them out to others because of how well it motivated me.